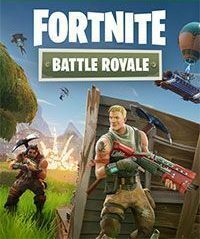 Fortnite: Battle Royale is a free-to-play multiplayer action game developed by Epic Games. The game is based on the battle royale formula and is similar to e.g. PlayerUnknown's Battlegrounds. A hundred players are transported onto an island with almost nothing in their inventory. Fortnite: Battle Royale is a third-person action game featuring battle royale mechanics. The game has been developed by Epic Games, one of the most recognizable studios in the industry. Throughout the years, the studio has delivered such video games series as Gears of War and Unreal. Moreover, they have also developed the Unreal Engine, which has been used in the production processes of tens of games, among them Final Fantasy VII Remake (developed by Square Enix), Tekken 7 (developed by Bandai Namco) and PlayerUnknown's Battlegrounds (Bluehole). Fortnite: Battle Royale for PC, AND and etc. has evolved from Fortnite, however, it is a free-to-play and standalone production, which does not require the core game in order to run. Fortnite: Battle Royale features only a multiplayer mode, in which a player has but one objective –stay alive until the match ends. A hundred players are transported onto an island with almost nothing in their inventory. When over the battlefield, they have to exit their transport and skydive towards the location they see fit to start the match, e.g. near buildings. It is important, as at the beginning of a match, a player is equipped only with a pickaxe, and he has to find or loot weapons, traps, and other pieces of gear. Thus, one has a bigger chance of finding something useful in a house or a farm. The game offers players much freedom – any strategy is valid if it works – either hunt for others, or can hide inside one of the buildings and hope to avoid combat altogether. Finally, a player can assume the stealth approach, hide in an appropriate spot and eliminate the foes with a sniper rifle. One should remember, however, that the area of the game continuously shrinks and anyone outside of it receives damage until they’re killed. The aforementioned elements and mechanics make Fortnite: Battle Royale similar to such games as e.g. PlayerUnknown's Battlegrounds. Nonetheless, the game described herein stands out from similar games because of its mechanics, also known from the regular Fortnite, which a player to acquire resources from buildings, trees, etc. These resources can be used to erect diverse structures such as walls protecting one from the enemy fire. Also, a player can build makeshift stairs to get to a building's roof. Fortnite: Battle Royale for PC, AND and etc. looks exactly the same as the regular Fortnite. The game has been based on the Unreal Engine technology and delivers high-quality visuals. The developers from Epic Games decided to implement humorous and somewhat cartoonish style into their game. Additional information (iOS): Internet connection is required. Additional information (AND): Internet connection is required. Fortnite: Battle Royale Guide provides tips and tricks, weapons and landing hints. Here you will find out how to win and how to get V-bucks. Our beginners guide can teach you how to beat cheaters! The great console war has recently witnessed the opening of a new front. This time, the struggle focused on cross-platform play, and the shortest straw was drawn by Sony, which received a healthy dose of criticism. But is it really that much of an issue?